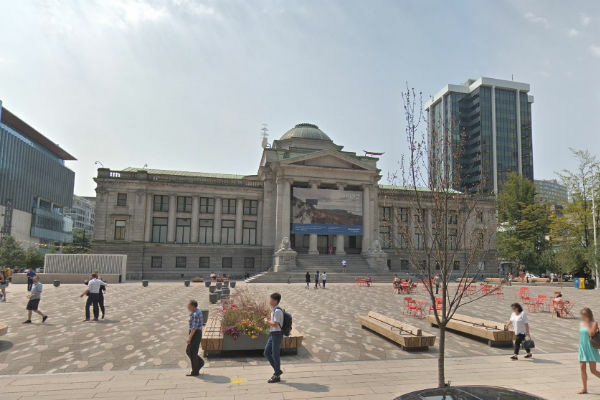 Striking workers at the Vancouver Art Gallery voted in favour of a mediated settlement on Feb. 11, effectively ending their week-long labour action. “Our members successfully fought back against a number of concessions, and won several key provisions that will improve the working conditions and compensation of gallery workers today, and for years to come,” said Warren Williams, Canadian Union of Public Employees (CUPE) 15 president. Workers walked off the job on Feb. 5 over wages and gallery managers’ attempts to eliminate long-standing scheduling rights. Through mediation the parties were able to agree on a four-year agreement that excludes the gallery’s proposed concession on scheduling, provides retroactive wage increases of 1.5 per cent in each of 2017 and 2018, and includes future wage adjustments of 1.75 per cent in 2019 and two per cent in 2020, said the union.